The Dance/USA Annual Conference is an invigorating gathering of dance professionals united by their interests in advancing dance and celebrating the joy of movement. 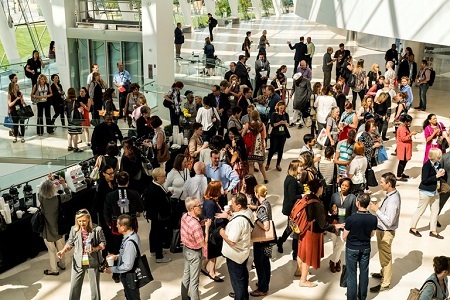 It is a time to honor leaders in the field, share and access new resources, and connect with peers through thought-provoking training and conversations. 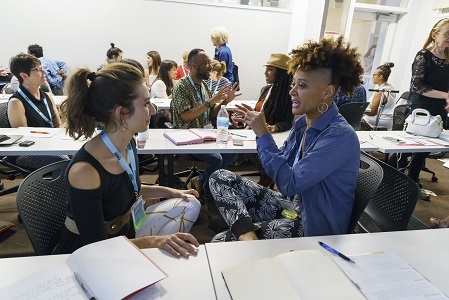 Together attendees discover innovative approaches to shared problems and strengthen relationships among fellow dance professionals. 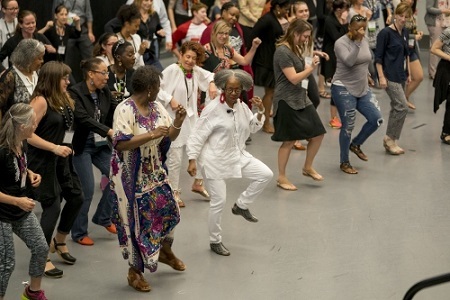 The Annual Conference travels to a different city each year, highlighting the unique vibrancy of dance communities around the nation. These varied locales offer new inspiration and showcase the host city’s arts and dance ecosystem. Join Dance/USA at this year’s Annual Conference and invest in yourself, your organization, and the future of dance. Leave ready to impact the dance world with new ideas, fresh ways of thinking, and with more confidence in your work. 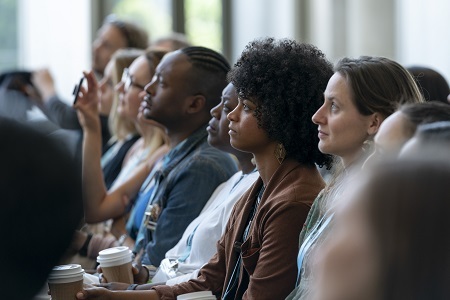 Gain unparalleled access and exposure to nearly 500 of the professional dance field’s managers, artists, representatives, and service providers by sponsoring the 2019 Annual Conference today. Who attends the Dance/USA Annual Conference? Each year over 500 individuals associated with the professional dance field join Dance/USA for the Annual Conference. Attendees include independent artists, dance presenters, agents and artist representatives, education and service providers, executive directors, artistic directors, company managers, fundraisers, presenters, development and marketing staff, and more from across the country and around the world. Do I have to be a Dance/USA member to attend the Conference? No; anyone can attend the Conference! Dance/USA members receive discounted registration fees. Not a Dance/USA member, but interested in becoming one? Contact Dance/USA's Membership Department, or visit the Dance/USAMembership Page. Click here to register for the 2019 Annual Conference! “It’s like a summer intensive for your job! 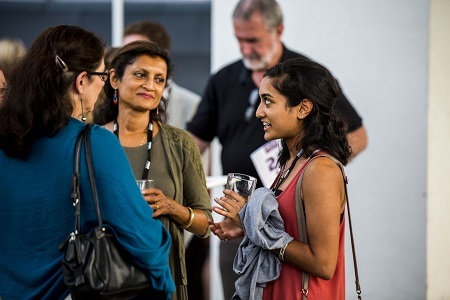 Want to know more about the Dance/USA Annual Conference? Watch videos, browse photos,and more from the 2018 Annual Conference here. If you have any questions, please contact us at annualconference@danceusa.org.